#Halloween hummus inspired by @ForkandBeans! How cool is this?! 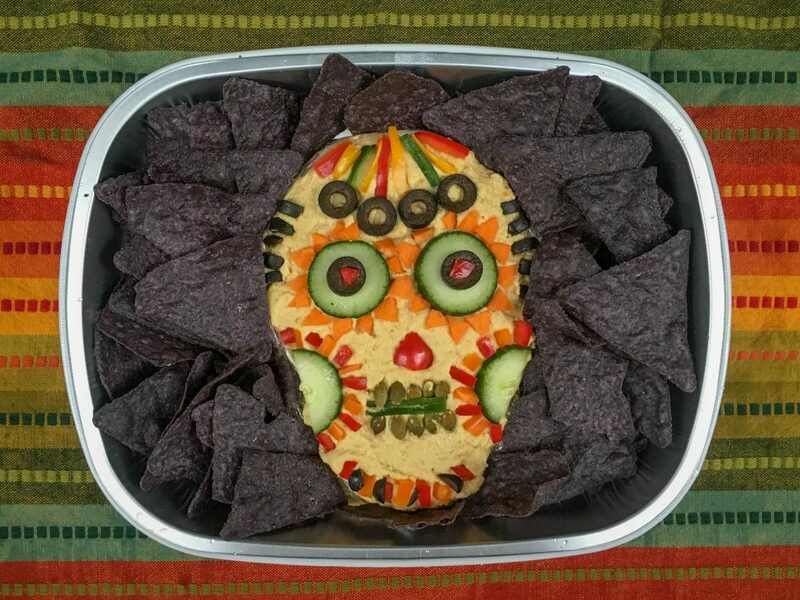 Halloween hummus inspired by Fork & Beans’ Dia de los Muertos Hummus Dip! Add all ingredients but water to a food processor and blend until smooth. Add in the water and blend until the hummus reaches your desired consistency. (Add additional water if needed. Shape the hummus into a skull on a platter or in a pan. Decorate the skull however you like. Serve with tortilla chips and/or fresh veggies.